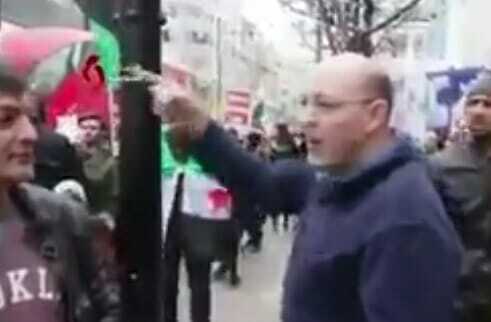 Courageous Brit Stands Up to Muslim Protesters Who Were Blaming Putin: "Obama Caused the War, Not Putin!" Obama and Hillary Clinton provided guns to Syrian rebels that morphed into ISIS. And today the country is a total quagmire.